Meat grinders tend to develop rust as meat releases oil and grease during grinding. If you are not aware and clean the grinder machined properly after every use, it will end up developing rust. It may not work well or you may not use it. 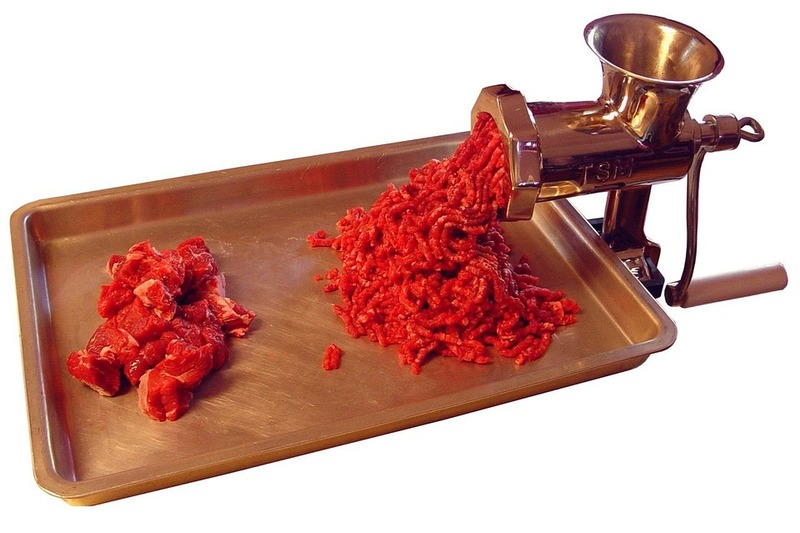 Because nobody likes to grind their meat in a grinder full of rust. There are other reasons associated with developing rust in your meat grinder. The metal used in the machine may also be responsible for early rust. So, it is wise to understand the metal and then you should purchase one. If you want to have a clear idea about things associated with a meat grinder, you can also read meat grinder review. It will help you to end up buying a suitable meat grinder that may not develop rust fast. However, I’m not going to tell all about the buying guide of purchasing a manual meat grinder here. Instead, I will teach you on how to remove rust from your meat grinder step by step with pictures. And, I’m pretty sure that after reading the whole article carefully, you can easily remove rust from your meat grinder fast. Before starting, I would like to tell you something about rust. You can remove the rust developed in your meat grinder in two ways. If your grinder developed heavy rust and it is almost impossible to remove just with your hand, you can remove it by electrolytic. It is a fast and easy method of removing the rust. On the other hand, if you see light rust in your meat grinder, you can remove them without using the electrolytic method. See if there is any rust that can be removed by hand-wash. Use an old towel to clean the machine and also remove the rust as much as possible. In this step, disassemble the grinder carefully. Removing rust from your meat grinder, you need to separate all the parts from the grinder so that you can clean them one by one. Also, be careful as there is a sharp blade for mincing the meat. You can use a screwdriver to separate the parts from the grinder. Take a sink with water and mix some dish soap into the water so that it becomes soapy. Make sure the water you have taken into the sink is warm (not too hot). Now soak all the parts into the sink and you have to wait for no more than 30 minutes. After that take all the parts out from the sink. In this step, you need a towel old or new to hand-dry all the grinder parts. For obstinate rust of your meat grinder, you can use a wire brush. It can remove obstinate rust fast. Also, be careful when you are scrubbing your towel on the blade of this machine. It is very sharp and can harm your fingers. You can see some poke holes in the grinder’s disk and they also need to wash. You can use a pipe cleaner or something that can enter into the holes in order to remove the rust inside them. There is also a wooden handle of the meat grinder and it also needs to clean properly. In this case, sandpaper can do the work very well. Use sandpaper all around the wooden handle to make it clean and smooth. If you keep your meat grinder away from rust for a long time, you can use just a thin coat of oil on every part. As you know the oxygen of the air is responsible for developing rust with ferrous, you can make a barrier using a thin coat of spray-on oil to protect the machine. A meat grinder is a popular and useful home appliance. Like other smoke gears, it also needs to take care so that it keeps good and useful.